Work Bench : is for us to work on it. 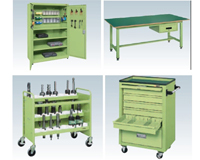 Furniture : is for us to move work tools in it and keep them. Looking for Metal Factory Furniture? MITSUBISHI HITACHI: Insert, Cutter, Drill etc.